As songwriters, Victoria Legrand and Alex Scally take pop music to a place that is rife with depth and meaning, yet still accessible to a larger audience. Lyrically complex and structurally simple, most tracks keep the same beat throughout. The first track, “Dark Spring” bursts through speakers in a buzzing drone, lyrics referencing Earth’s vastly changed atmosphere and natural weather patterns. “Dark Spring,” was the third single from the album, released with a black and white music video. The video begins with a blooming flower, followed by a first-person POV drifting through a house, where smoke seems to be engulfing the minimal furniture, and lighting. One room contains a fan pulling smoke through and disturbing the curtains among flashing lights, storm-like. Faceless bodies writhe and bodiless hands reach toward an intangible goal, immersed in smoke and light. The contrast between black and white – dark and light, and how they play against each other within grey intermediate space. A stylistic culmination of their previous albums, 7 has solidified the band’s drone-based atmosphere. In an interview, Legrand asserts that Beach House is “a band, we’re not DJs,” and that with this record, they felt they “have a responsibility as musicians” to be able to write songs that they were able to recreate live (Stereogum). Several songs on the album have sounds such as these, like on “Dive,” and the off-kilter buzz of the final track, “Last Ride.” The end of “Dark Spring,” is a siren-like sound, that is stretched and molded into impact, where the start of “Pay No Mind,” begins. This sound bridges the two songs in a highly emotive way, something that Beach House didn’t want to lose in their live set. The comparably dulcet tones and softer rhythmic pattern of “Pay No Mind” to the previous track are heavily accentuated by the the siren’s piercing wail. Guitar drones slowly and a heavy drum riding consistently throughout with sections of very delicate vocals. These sections are broken up by a warm and plucky lead and Legrand’s ghostly moans, creating an orchestral experience. This dichotomy of opposing concepts contained as one reemerges over and over throughout the album, as the band seems to have truly entered the unknown – from the tribulations of growing up and growing into their fame detailed in “Drunk in LA,” to their jump into the deep end of “Dive.” Things can be both black and white, and almost nothing is either one or the other. The lead synth of “Black Car” lures listeners in with its enchanting warmth, and Legrand’s siren-like voice pulls you under. Her voice, and the harmonies surrounding it coupled with a stomping kick drum recontextualizes the synth in a more frightening way. Although “Girl of the Year” is titled thusly, the band asserts that there are male and female energies present. In continuation of the themes that arose within “Drunk in LA,” both songs are great examples of the band’s lyrical chops, “Girl of the Year” is more effortless in achieving its meaning; “Get dressed to undress // depressed to impress … turn on the TV // they all wanna see me … pick all the petals // off all the daisies…” Each couplet is rhythmically tidy with straightforward imagery giving it a well-rounded pop sensibility. The way that this album was released, is extremely indicative of Alex Scally’s statement that “things are very visual for [them]” (Stereogum). The duo are able to describe their work in images, abstract and visceral. It was only fitting they released three singles as music videos, as well as the entire album, free to stream on their YouTube page, not only creating an extremely accessible work of art, but allowing the general masses to feel the same way. 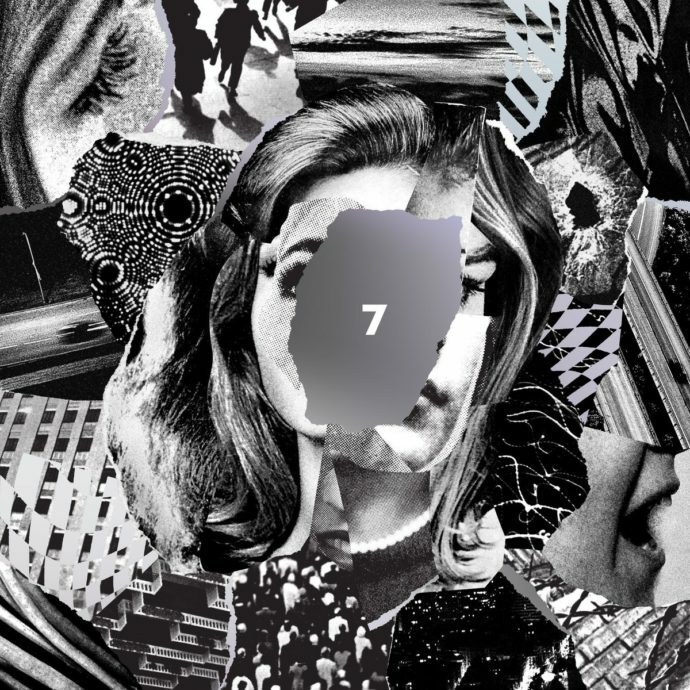 Beach House’s 7 is a complex story, a summation of the themes important to the band, tied together with black and white continuity.